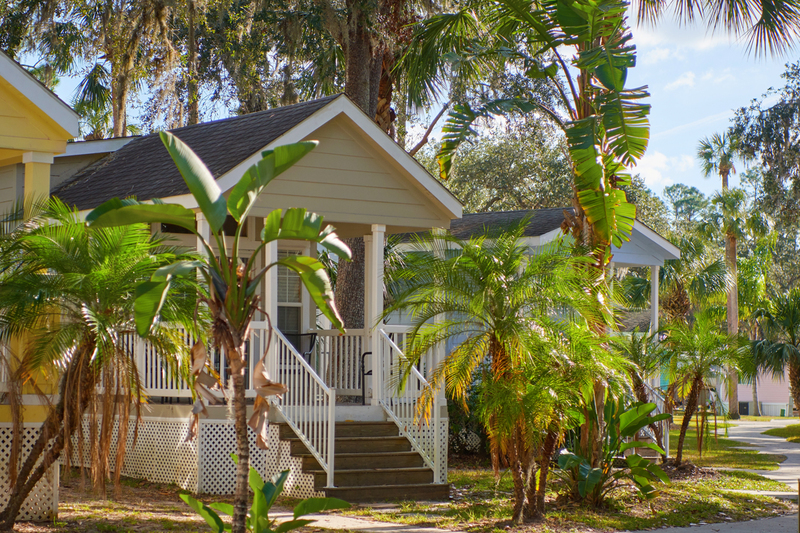 An East Coast Adventure from Petite Retreats! Thinking about an East Coast adventure? 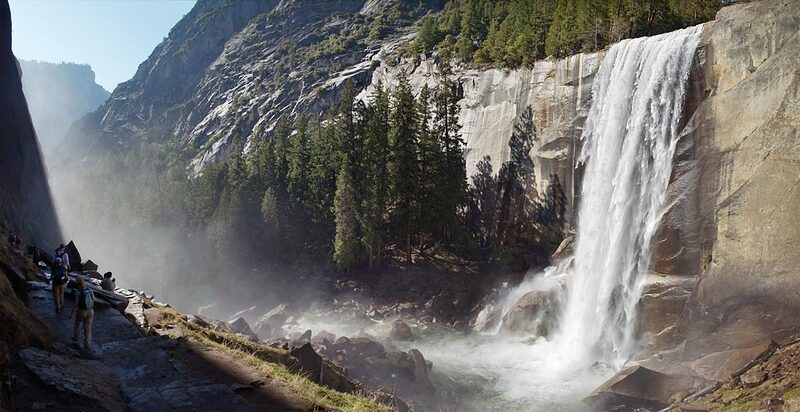 Planning to take a few selfies with a rugged coastline or towering pine trees as your backdrop? 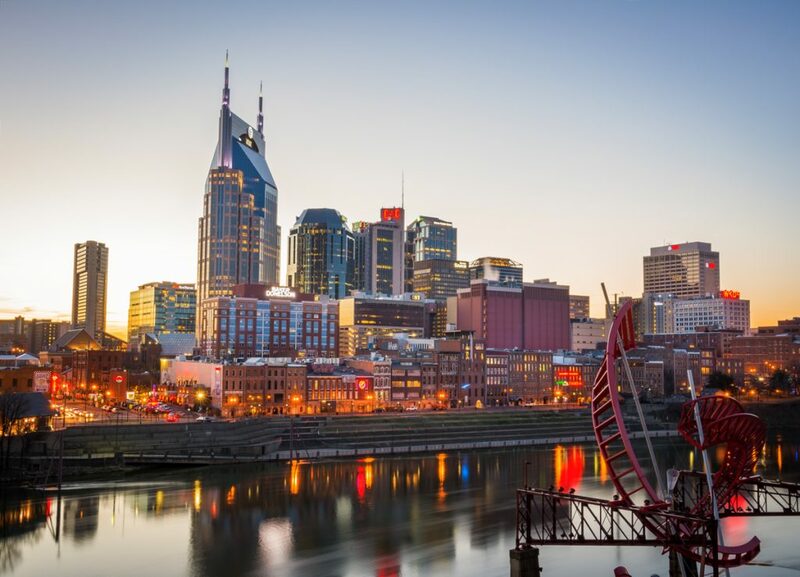 We’ve got the perfect trip if you’re planning to head east! Autumn is just around the corner and it’s the perfect time to visit the East Coast catch those beautiful fall colors bursting from the trees and breath in the crisp air. 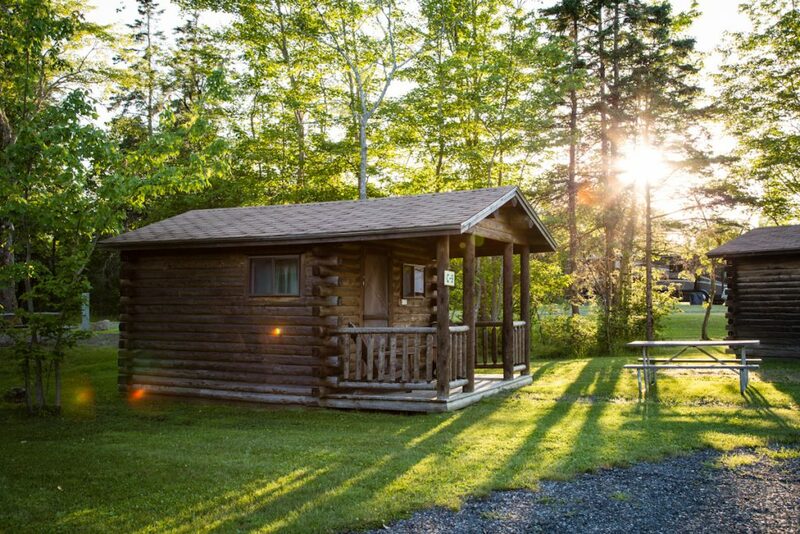 Start your trip off in Bar Harbor, Maine where you have your choice of several locations for a Petite Retreat. Both Mt. 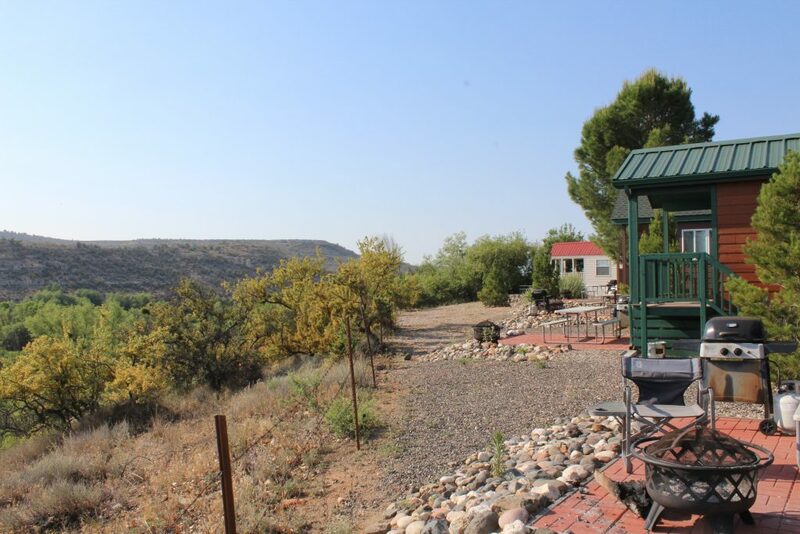 Desert Narrows and Narrows Too offer cozy cabins which provide the perfect setting for a New England retreat. 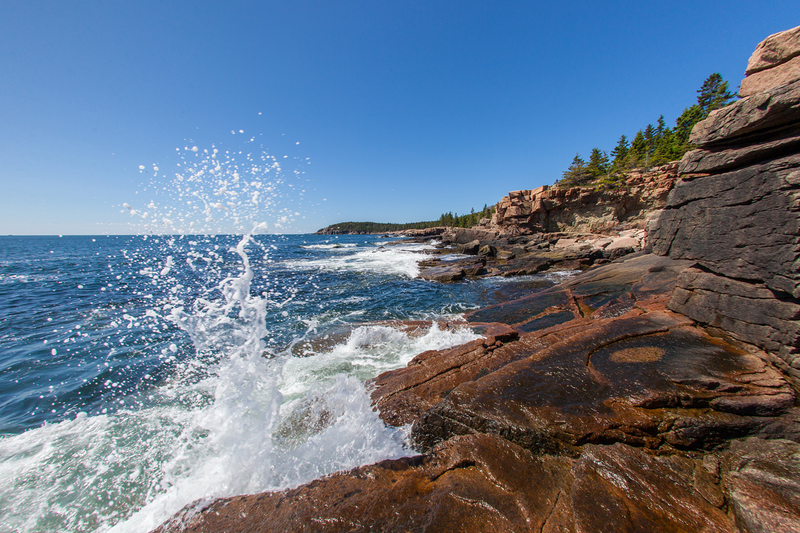 Both locations are conveniently located just 20 minutes from downtown Bar Harbor and only 10 minutes from Acadia National Park. 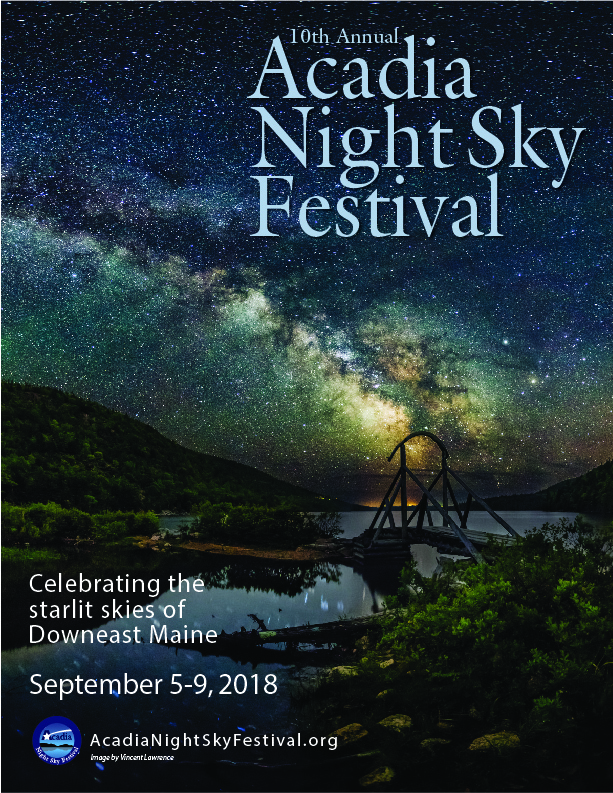 Enjoy Acadia’s Night Sky Festival which runs from September 5 to September 9 at Acadia National Park. Five days of events in the area include a Star Party on Cadillac Mountain and a Bioluminescent Night Paddle, plus live music, poetry readings, and plenty of stargazing events. Mt. 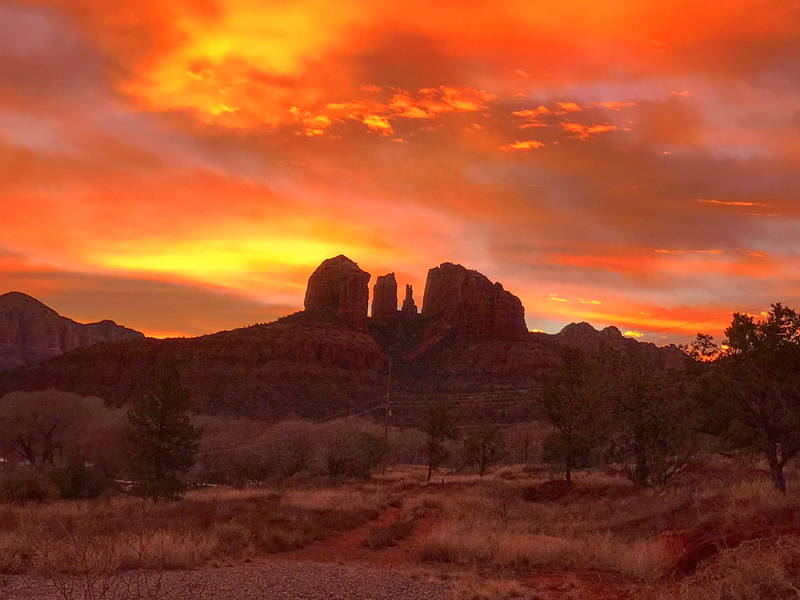 Desert Narrows RV Resort practically sits next to Acadia National Park, so it is the perfect destination if this is your go-to event for this area. Narrows Too RV Resort is just a short drive from Acadia National Park, as well! The town of Bar Harbor always has something going on from sunup to sundown – there’s yoga by the bay, maritime history walks, concerts on the Green, and evening ghost tours. To capture those perfect New England selfies, take a stroll along Shore Path, a half-mile trek along a man-made seawall that provides scenic ocean views. 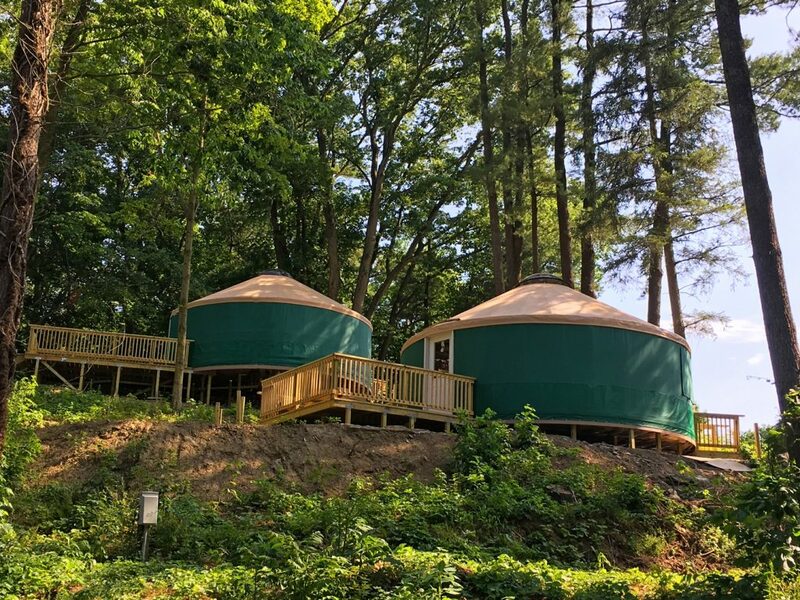 Drive south from Bar Harbor and in a little over four hours you’ll be in South Hampton, New Hampshire – home to Tuxbury Pond RV Resort and their super adorable tiny houses. 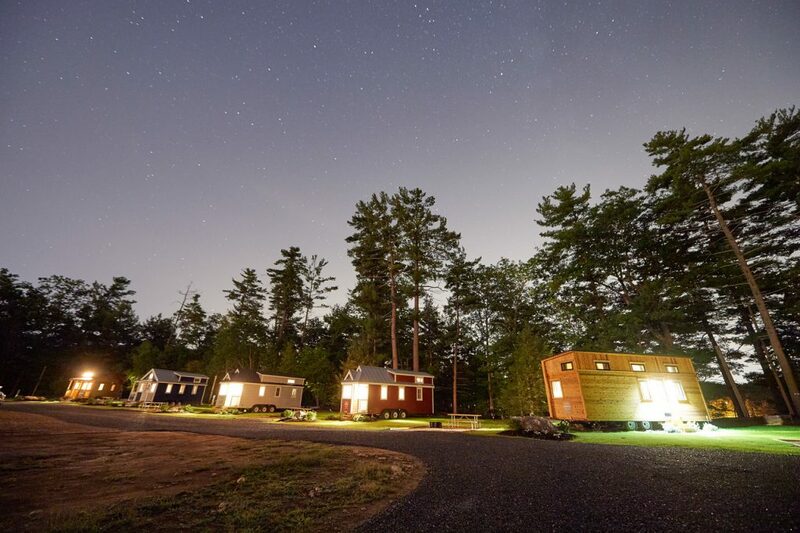 These five tiny houses, Emerson, Henry, Clara, Riley, and Murphy, offer a unique home base while you enjoy your New England experience. 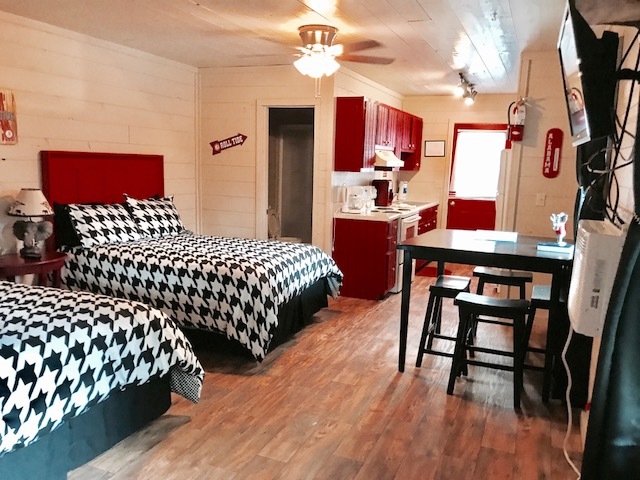 Tuxbury Pond RV Resort is aptly named as it is situated on the shores of tranquil Tuxbury Pond, which straddles the New Hampshire-Massachusetts border. 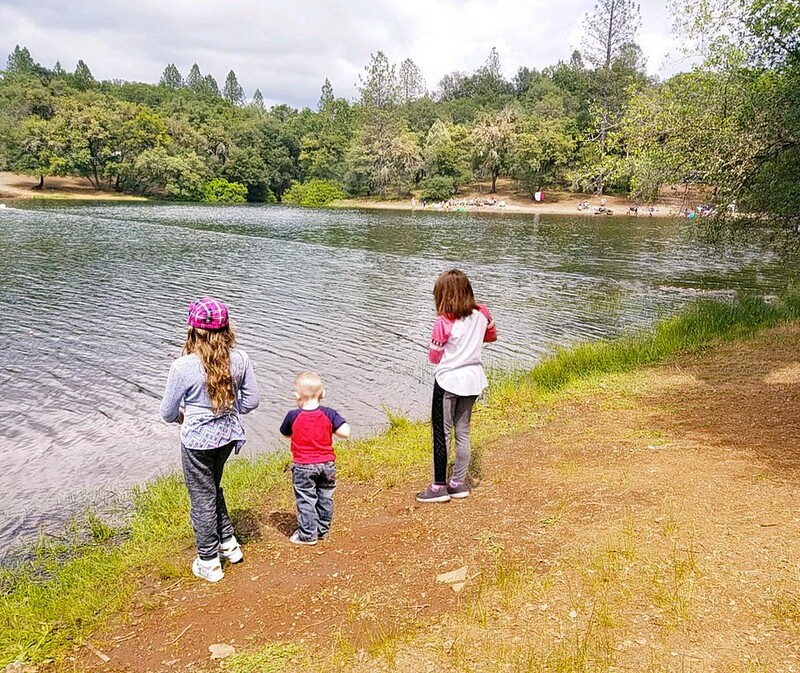 Tuxbury Pond also offers cozy cabins as well as tent camping and RV sites. The quaint towns of North and South Hampton offer unique shopping opportunities and South Hampton is home to Jewell Towne Vineyards, New Hampshire’s oldest vineyard that offers tastings and tours. The 17th Annual Newburyport Riverfront Music Festival, scheduled for September 1, is free, open to the public, and less than ten miles from Tuxbury Pond! There are also plenty of beaches in the area so you can get in your last summer hurrah in the sand. Check out hamptonbeach.org for a listing of beaches. Also, don’t forget the fall colors appear earlier in New England so if you plan your trip just right, you will take away memories of one of nature’s most spectacular art shows! More selfies, please! 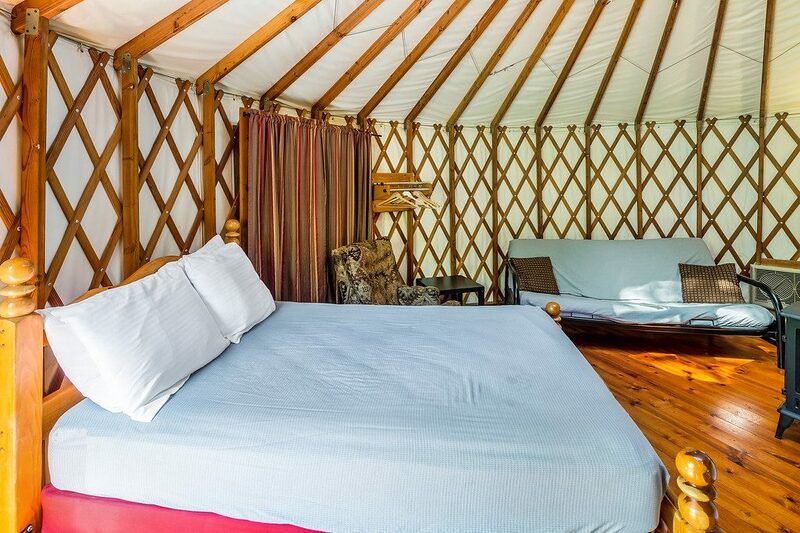 Visit New England and stay with Petite Retreats! 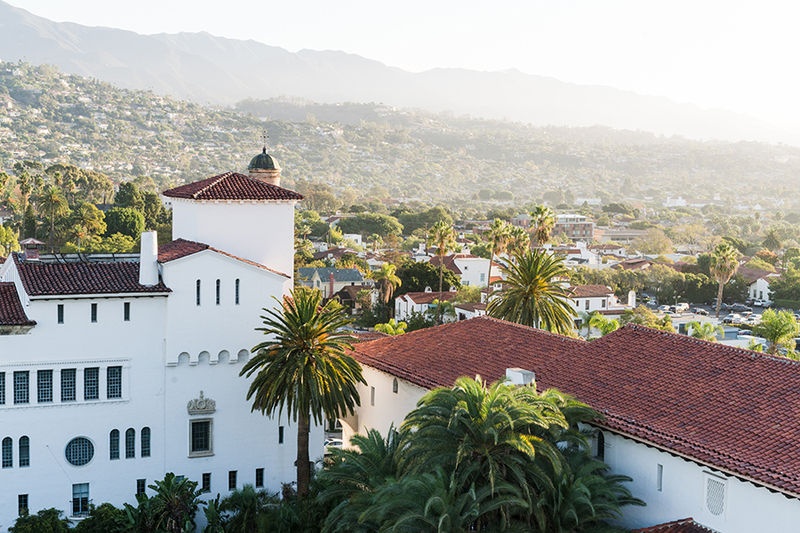 Book your stay now. 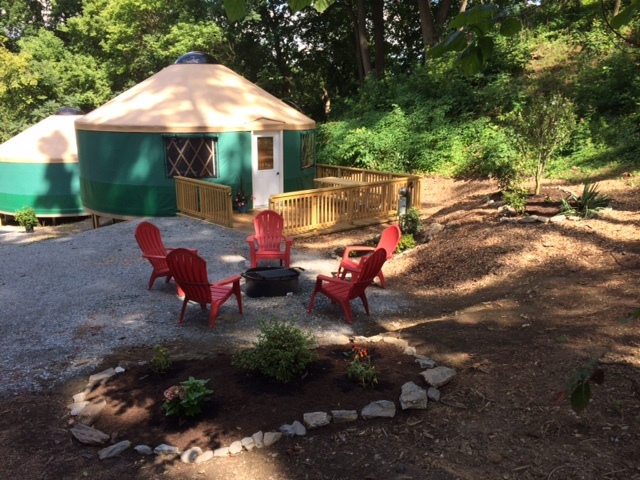 Author Petite RetreatsPosted on April 25, 2018 April 27, 2018 Categories Campgrounds, Unique AccommodationsTags Amish attractions, Circle M, Lancaster County, Yurt Village at Circle MLeave a comment on Yurt So Good at Circle M! Thinking About Winter in Leavenworth, Washington? Not sure if you’re a snowbird? Try out the opposite and spend winter where the snow is plentiful! 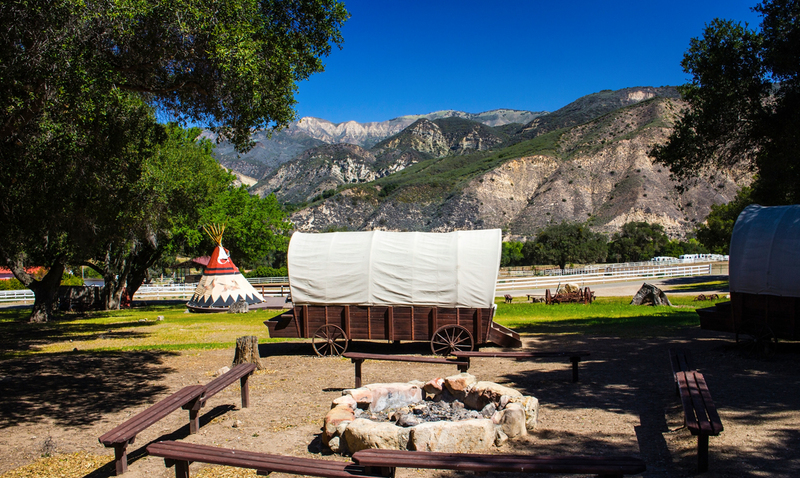 If you’re looking to plan a snow-filled getaway, Thousand Trails Leavenworth RV Campground is the perfect spot. 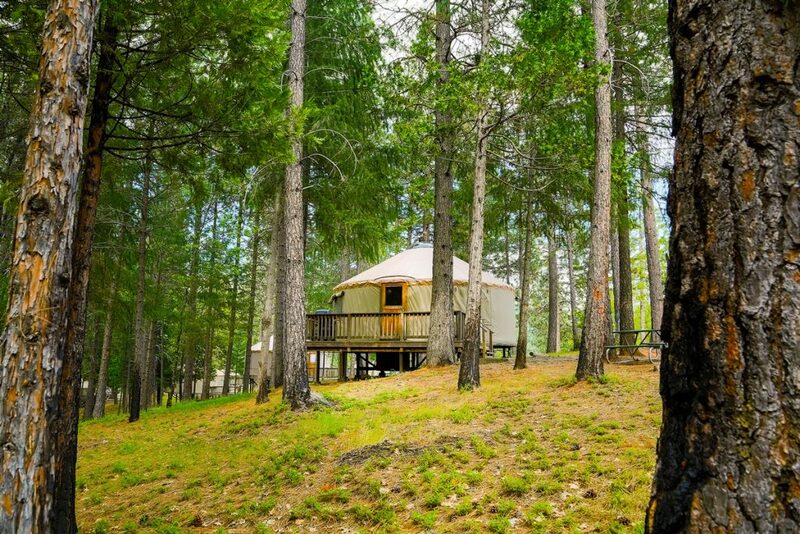 The beautiful Cascade Mountains provide the perfect backdrop to relax or enjoy numerous recreational activities in the alpine setting of Thousand Trails Leavenworth RV Campground. 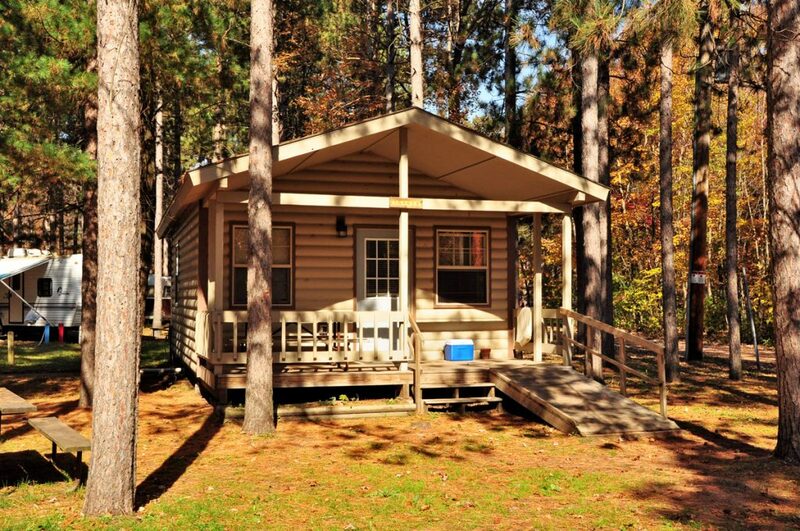 Enjoy 300 acres of beautiful forests and meadows await. During the winter months, you’ll be able to ride your snowmobile on over 200 miles of groomed snowmobile trails located directly across the street. You can cross-country ski, snowshoe, and sled down hills that are all located right here! 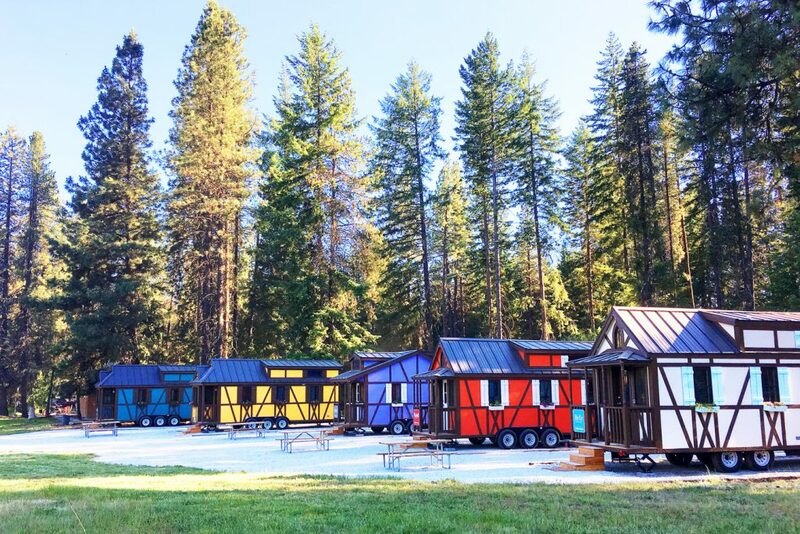 When you stay at the Tiny House Village at Leavenworth RV Campground, your Bavarian themed-vacation becomes even more festive! 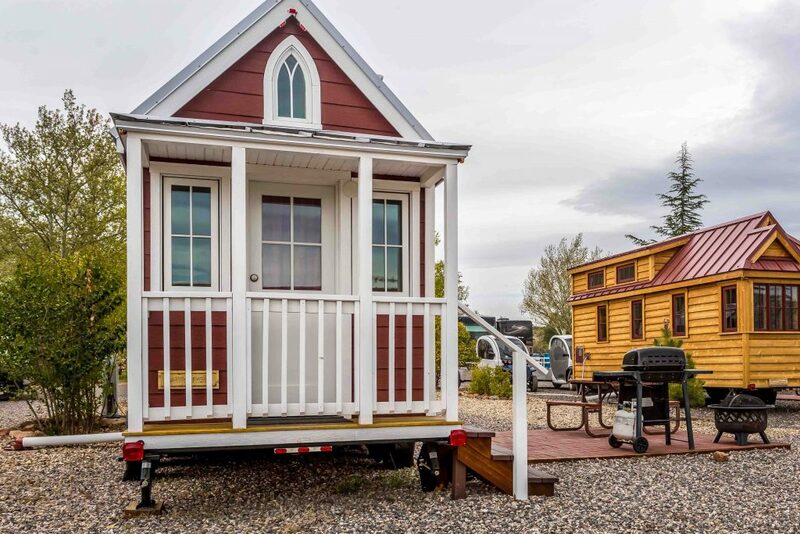 Rudolf, Adeline, Belle, Hanna, and Otto, the tiny houses, each has their own unique personality. 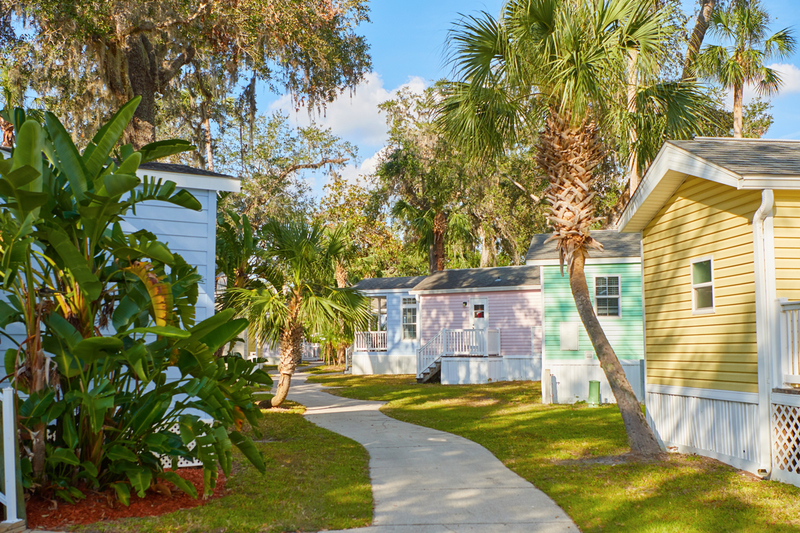 Each house features special Bavarian touches, charming colors, and clever space-saving design within 180-300 square feet. 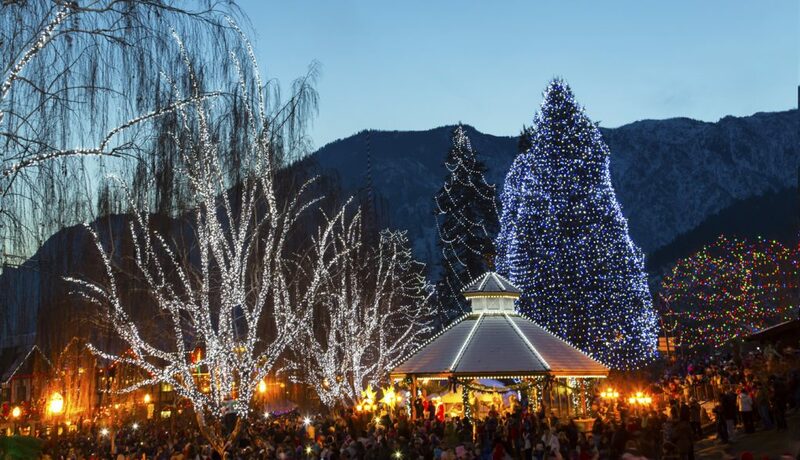 Easily one of the most beautiful and quaint towns in the Pacific Northwest, Leavenworth is the ideal spot to spend some time this winter if you’re a lover of all things that celebrate the season. The downtown area is lovingly referred to as “Little Bavaria,” complete with standard German architecture and countless Christmas celebrations, including over half a million Christmas lights and carolers galore! Visitors can look forward to a number of fun events put on by the town of Leavenworth including Alpenfolk in the Gazebo, a special showcase of alpine folk music; the Bavarian Boondocker’s Snowfest, a snowmobile winter power sports event; and the famous Christmas Lighting Festival, where this quaint Bavarian village lights up in millions of Christmas lights and the sounds of caroling drifts through the air! 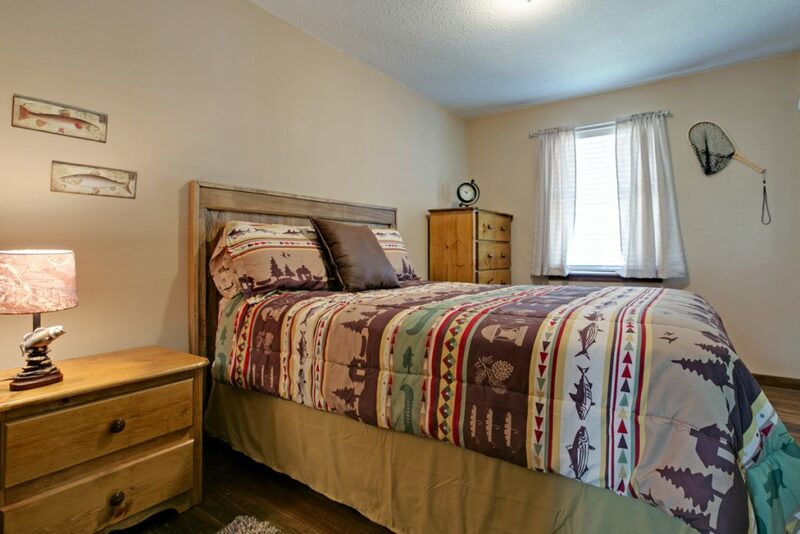 Leavenworth RV Campground is located just 29 miles from Steven’s Pass Ski Resort, and just four miles from Fish Lake, a popular spot for ice fishing. The campground is also 17 miles from the Bavarian Village of Leavenworth where two to three million people visit each year. 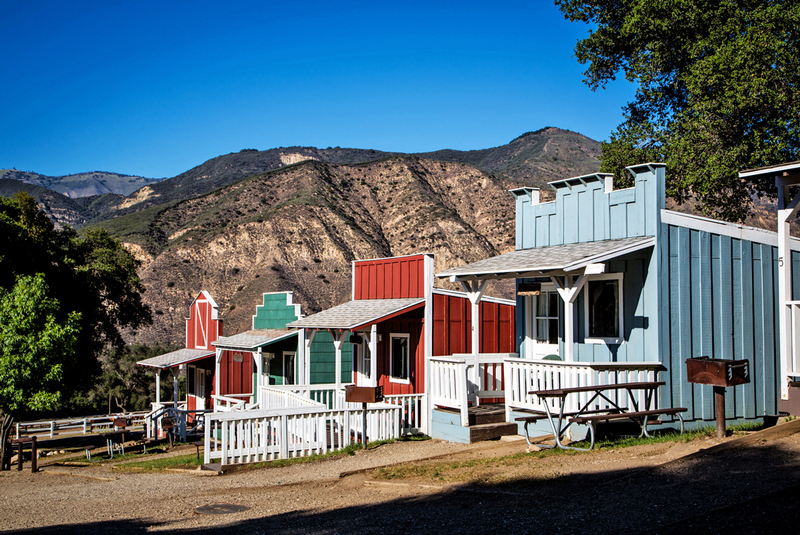 The village is world famous for its Bavarian architecture, seasonal festivals, unique German restaurants, specialty shops and art galleries. 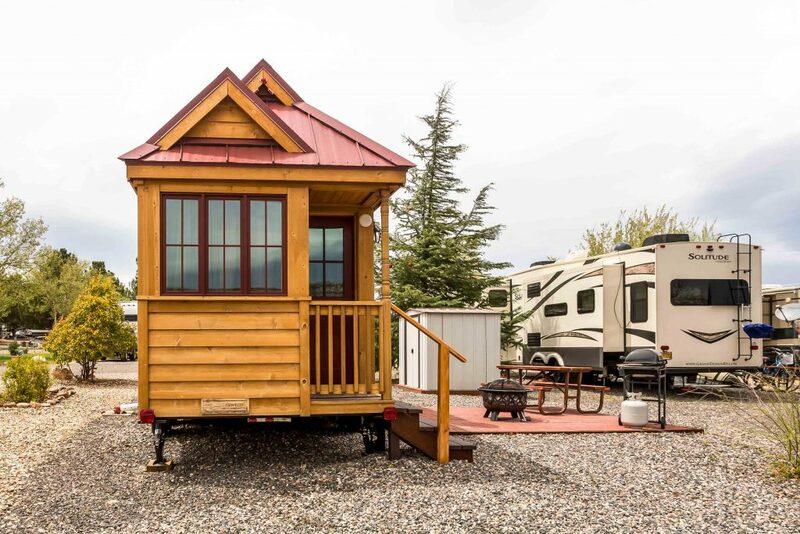 Book your winter getaway at the Leavenworth Tiny House Village and tell us about your winter adventure plans in the comments! Author Petite RetreatsPosted on October 18, 2017 October 25, 2017 Categories CampgroundsTags bavarian village, leavenworth rv campground, leavenworth tiny house village, leavenworth washington, little bavaria, thousand trails leavenworthLeave a comment on Thinking About Winter in Leavenworth, Washington?